AFTER FIVE YEARS in a Cuban dungeon, American aid contractor Alan Gross was finally freed Wednesday, his release part of a deal to restore full diplomatic relations between the United States and Cuba. But there will be no freedom for the many thousands of Cuban citizens locked in the Castros' prisons — not even after a US embassy is reopened in Havana. Normalized diplomatic ties with the United States will give the Castro brothers even more reasons to smile. But President Obama's sharp change in policy won't bring liberty any nearer for Cuba's 11 million people. The United States has always had diplomatic ties with nasty regimes. In that sense, President Obama's announcement last week that he intends to normalize relations with Cuba merely adds another to the list. But Cuba isn't just another dictatorship. To begin with, it is the only remaining totalitarian state in the Western Hemisphere. The Castro brothers' regime "continues to repress individuals and groups who criticize the government or call for basic human rights," notes a recent Human Rights Watch summary of conditions on the island. "Officials employ a range of tactics to punish dissent and instill fear in the public, including beatings, public acts of shaming, termination of employment, and threats of long-term imprisonment." There is no freedom of speech or religion in Cuba, no due process of law, no right to criticize the government. Nor is there any right to leave, which is why so many Cubans have lost their lives at sea, drowning in desperate attempts to escape. If the president's abrupt shift of policy were part of an American strategy to topple such an odious dictatorship, it might be defensible. Unfortunately, it is hard to see this as anything but one more iteration of the Obama administration's idea of statecraft: Accommodate the world's worst actors and consciously reduce America's clout in shaping international opinion. The Cuban regime is one of the few with which Washington severed ties on a fundamental matter of principle, having first welcomed its accession to power. The United States initially supported the Castro revolution — early in 1958 the Eisenhower administration imposed an arms embargo against Cuban dictator Fulgencio Batista, and it swiftly recognized the new government in 1959. It wasn't until 1961 that President Eisenhower cut diplomatic relations with Havana, and that was only after Castro had seized private property and nationalized (read: stole) billions of dollars' worth of assets belonging to US companies in Cuba. More than half a century later, that massive larceny is still unrepaid. Obama dismisses this as mere history. He pooh-poohs the relevance of a policy "rooted in events that took place before most of us were born." Yet as a candidate for president, Obama vowed that his policy toward Cuba would "be guided by one word: Libertad." He bent over backward to stress that while he favored engagement, there would be no quid of normalization until there was a quo of democratization: "Don't be confused about this," Obama told voters in Florida. "I will maintain the embargo. It provides us with the leverage to present the regime with a clear choice: If you take significant steps toward democracy, beginning with the freeing of all political prisoners, we will take steps to begin normalizing relations. That's the way to bring about real change in Cuba." That was then, this is now. As in almost every other region touched by Obama's foreign policy since 2009, liberty in Cuba has made no gains. Leverage has not been deployed. Political prisoners remain behind bars. And significant steps toward democracy remain a fantasy. Obama isn't the first president to find ways to ease trade and travel sanctions against Cuba. But the increased business — US agricultural exports to Cuba soared from $4 million in 2001 to more than $450 million in 2010 — has mostly entrenched Cuba's rulers. Easing them further will entrench them even more. That is because the Castro regime, in addition to its other charms, is a criminal syndicate. It controls Cuba's tourism and foreign trade operations much as Al Capone controlled Chicago's liquor rackets. 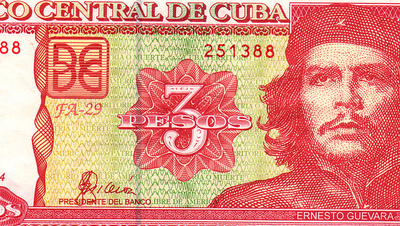 When foreign currency flows to Cuba, it flows to the dictatorship and its military. As Rich Lowry commented in Politico last week, it is as if the Pentagon owned the Radisson, Marriott, and Hilton hotel chains. Despite the president's warm-and-fuzzy rhetoric about the Cuban people's right to "live with dignity and self-determination," nothing about this normalization reflects the least concession on Havana's part. For decades, Obama said, the United States has "proudly. . . supported democracy and human rights in Cuba." But there is no hint that human rights or political freedoms will improve for ordinary Cubans. An end to Communist Party control? Contested elections? An unmolested free press? Don't hold your breath. Echoing a popular talking point, the president claims that America's longstanding policy toward Cuba hasn't "worked," by which he apparently means that Cuba is still a crude and brutal tyranny. "For more than 35 years, we've had relations with China. . . Nearly two decades ago, we reestablished relations with Vietnam," Obama says — as if that supports, rather than undermines, the notion that normal diplomatic and trade relations with Communist dictatorships will transform them into humane and democratic societies. Normalization hasn't "worked" in Vietnam or China. 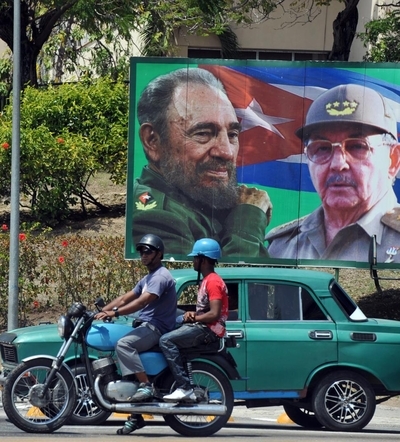 Why expect a different outcome in Cuba? There have always been reasonable arguments on both sides of America's fraught Cuba policy. But there is nothing reasonable about Obama's drastic shift of policy. It amounts to an invaluable gift to the worst regime in the Americas, in exchange for no lasting gain in human rights, democracy, or libertad. This will be a happy Christmas for the Castros and their courtiers, who are getting something they have long desired. As for their millions of beleaguered subjects, still unfree and impoverished: They'll have to go on waiting.